ONE person's mountain may be another's molehill, but either can be the key to happiness and contentment. The problem arises when one is labelled somehow more important than the other, an inference of inferiority over someone's achievement. Age, health and fitness levels are so different. What matters most is being able to get out and enjoy whatever you can do within your capabilities. A particular bugbear is when you are sitting peacefully at the top of a mountain drinking in the views with all the other like-minded souls, someone appears who just can't help plunging into a game of oneupmanship. There's nothing wrong with comparing and contrasting mountain numbers and sometimes a few words can lead naturally there during the course of any discussion. I don't hide my mountain tally – I just never bring it up unless asked specifically. I once was stirred from a peaceful lunch in the Cairngorms by one guy who was loudly determined to find at least one stat he could claim as his own. Luckily he was with friends and I was able to cut it short politely but I still chalked it down as a forceful eviction from a favoured perch. It doesn't matter what you have done, there is always someone who has achieved more. Often, the person boasting about their achievements has no idea of their audience. It's like telling Usain Bolt how you once won a school sports race. My favourite story on this theme can be found in the book, Hamish's Mountain Walk. 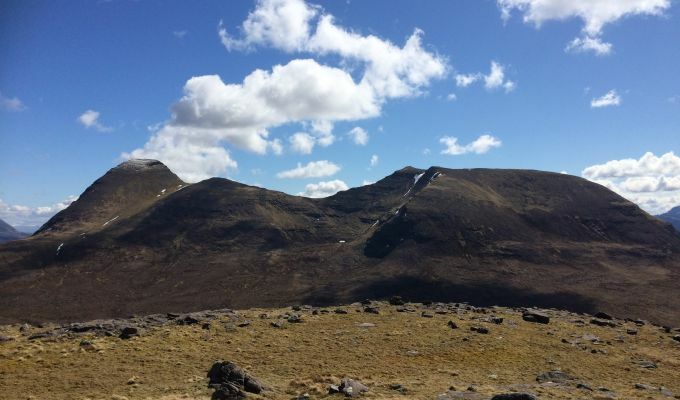 The multi-Munro 'compleater' Hamish Brown tells how he was sitting at one of Liathach's summits with his dog, Storm, and two young friends when a figure approached. This was the man's 50thMunro and he was determined to let Hamish and Co. know. In a condescending tone, he asked one of the youngsters how many Munros he had done. There are many who have climbed all the Munros but never recorded the fact. Among the 6,000-plus who have, there are 39 who have notched four full rounds or more, including four with 10 rounds or more. Many who 'compleat' their round immediately move on to other targets. Others have their eyes on setting all sorts of incredible records. 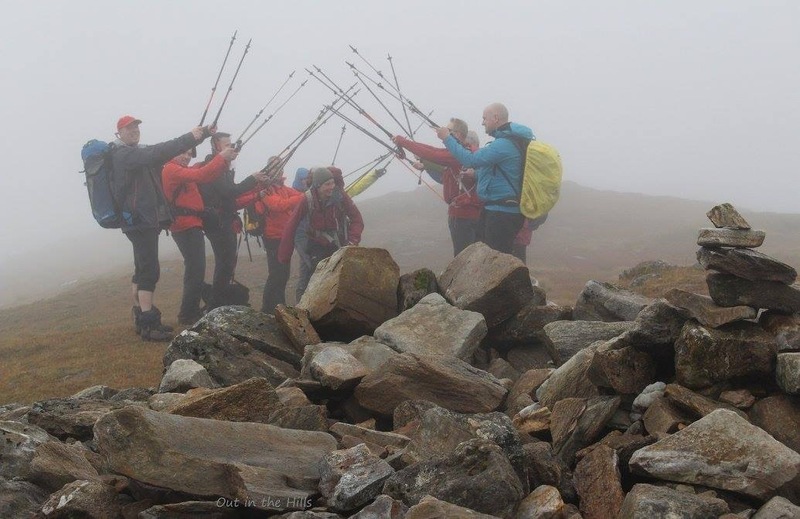 For some people, even one Munro is an achievement, and it should be celebrated as such. Your personal goal is the most important, not trying to achieve the impossible. One of the most emotional Munro 'compleations' I ever saw was that of an elderly man who had recently lost his wife. He had climbed mountains as a young man, then drifted away from the hills due to family and work commitments. It was only the loss of his wife in later life that pushed him into deciding to pull on the boots again and finish what he had started all these years ago. Accompanied by children, grandchildren and friends, he reached his summit, the rain no match for the tears running down his face. This was his final peak, the one determination that had kept him going these last few years. 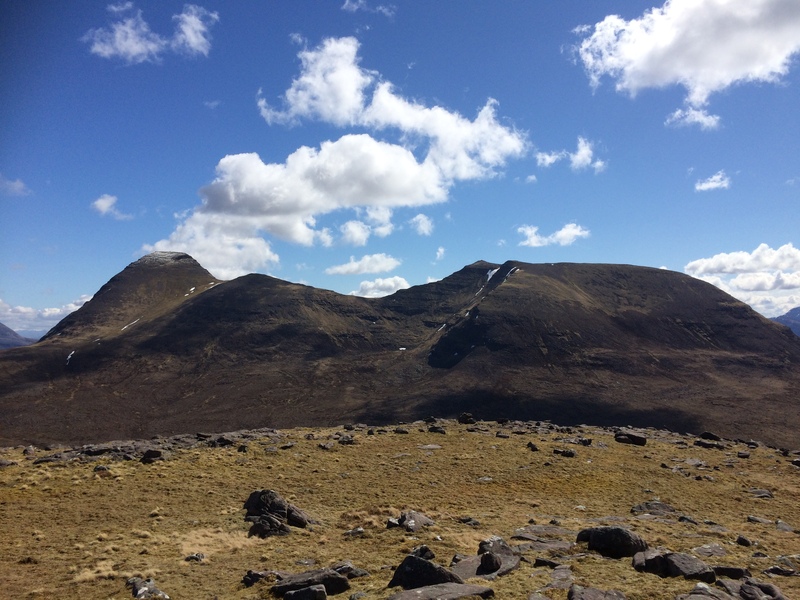 I was reading recently about one man whose Munro days came to an abrupt halt through a debilitating illness. He had just 31 peaks left to climb, and so came up with the idea of paying a charity donation to a friend to finish them for him. This brought to mind one of my friends, who had just 42 Munros to go when his life was cut short. A devastating prognosis had ruled out any last hurrah on the hills, but now his daughter hopes to go on and climb his remaining peaks. Every walk, every step, can be life-affirming in its own way.